So Why Not Save Someone You Love? In the up coming book I wrote which is being proofread at the moment titled ‘Jerry Lewis, Muscular Dystrophy and the Dawn of a New Age Of Science and Enlightenment I make the following assertion. Some physicists believe that they have discovered a structure to the space time manifold. And according to them, this structure actually records information as we travel through space in a vortex of angular moment created by our orbit. Not only that but we have access to this information like a gigantic celestial hard drive. For years we collectively stamped millions of thoughts of empathy and caring as Jerry Lewis hosted the MDA Telethon, on a great cosmic score of sheet music which trails behind our planet as we travel forward. These millions and millions of thoughts of compassion are imprinted on the fabric of space and time as we orbit through our galaxy and though the Universe, according to the current physics model. Below is a Google Trends analysis which is proof this rhythm and it’s intensity existed. 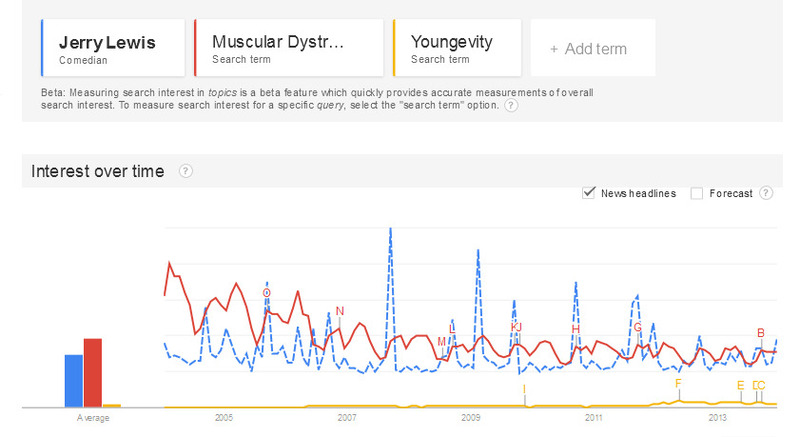 The blue line is the keyword search term ‘Jerry Lewis’, the red line ‘Muscular Dystrophy’ and at the very bottom the yellow line is the name of a company called Youngevity which sells medical nutrition. You can see turbulence in the yellow Youngevity line at right around the red letter G which is a news article about the departure of Lewis from the MDA Telethon. I had been documenting my progress extensively over the past three months showing unbelievable progress in such a short time. You can see all those improvement in my recently released documentary called Defying Muscular Dystrophy The Truth. And so they fired Jerry Lewis. They fired Jerry Lewis because he wanted them to look at something that they (MDA) hadn’t done. Below is the analytic’s section of my WordPress blog. This represents all the organic search traffic that I have been getting from the keywords above in the Google Trends chart. Youngevity is a major force in Medical Nutrition or as I like to say the Medical Liberation Movement. They say when you support and promote the structure and function of the human body with 90 essential nutrients, miracles happen. We’ve cured over 900 diseases in animals with medical nutrition. So why not use the same science based, clinically verified findings for humans? Why? Because it’s all about the money. I believe when the yellow, blue and red lines lines in the Google Trends chart touch, the celestial score of compassion and empathy stamped by millions and millions of us on the fabric of space of time will light up like a Christmas tree and explode forward. This unity of mind and empathy over space and time will combine with our knowledge of medical nutrition to blaze a trail like a giant celestial Santa Claus giving gifts of health and eradicating disease. This will cause the downfall of the current tyrannical drug dealing monopoly which is the number one cause of death and bankruptcy in America. And a New Age of Health and Enlightenment will follow the likes of which Humanity has never known. Thanks Jerry! We could have never done it with out you! Merry Christmas, Happy Holidays and Healthy New Year. 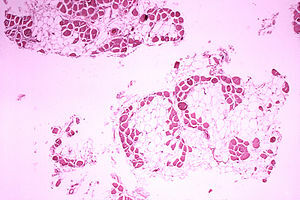 Do we need to cure for muscular dystrophy? I wrote a short book. Below is an excerpt. Our brains are wired for storytelling so I am attempting to bring emotion and drama into the subject of Medical Nutrition through this fictional dramatization. I can tell by the ‘Stats’ section of WordPress.com that there is a hunger for a discussion and dialog about Muscular Dystrophy and the disappearance of Jerry Lewis from the Telethon. I am getting search traffic from all over the world without any optimization on my part what so ever. He felt a hard, open emptiness, the feeling that comes and grows with the death of a loved one. Outside it was gray. But inside it was misting cold sweat. “You don’t ever raise your voice to me, you f#&k. You don’t ever raise your voice to me again!” the man screamed red faced and shaking. He wasn’t listening anymore. He heard everything he needed to hear. He was trying to keep what had just hit from shredding him by holding the fragments of the past silent, while resisting thoughts of the future. It wasn’t supposed to be like this. He had it all choreographed in his head. 6-5-4- up audio, take camera 1, cue talent. It’s Showtime! He would do an opening number, then tell the live audience and the viewers around the world that he was leaving. This was his last time. He would wait for a gasp of disbelief to ripple through the crowd. Spotlights would slow fade in on the life-sized posters on the stage of children in wheelchairs behind him. He had the sequence down in his head. Timing was everything. The kids that were cured were standing up, hiding behind the posters. When the orchestra swell peaked and the horn section fired away that was their cue to burst through the paper. He’d made sure they nailed it in rehearsal. The spotlights would follow as they did a little dance number that involved lots of movement around the stage. After you grab their attention, you can keep them there for a while. That’s when he would introduce the medical expert who discovered the cure. Do a quick Q&A, video montage, Q&A, more music numbers with the kids and then the fund raising would start. But this time it would be for providing the cure to the children in need, not looking for one. The association would get a cut for the administration. Kids that were in wheelchairs would be walking again and he would go down in history as the guy that helped find the cure. A win, win, win, win, win! He was literally fine tuning the performance in his head the night before. But last night felt like a wicked game life played as his dreams were now light years away. There were times that the year came around too fast when he didn’t feel he had it in him. Too tired. Too drained. Life happens. But once he got there–the stagehands, cameramen, lighting and audio guys–it was like a family. Once he saw that red light pop on, the adrenaline kicked in and he was unstoppable. But father time, begging for attention, had made getting to that launch pad more and more difficult. That’s why this cure, right now, was God sent. It was a validation of everything. It affirmed what he believed about himself, the country he loved and the values his parents taught him. He heard once that American Indians have a saying: If you heal something in your spirit, you heal it for your ancestors seven generations ahead and seven generations behind. He’d be healing his spirit alright and healing thousands of kids as well. Maybe he’d someday look down from Heaven with Mother and Father to see them unveiling a statue in commemoration. The cure would render all past mistakes null and void. This meant a book deal, possibly a documentary. He would no longer be remembered as the zany, goofball comedian with a big heart. He’d be seen as a man of stature and determination. So many ups and downs, so many regrets, yet so much magic, triumph and joy. His life’s work would culminate in this very moment. When he thought about it he felt young again like a kid. He wasn’t too old for this. But right now he was living the impossible and to his surprise, at his age, he was taking it like a man. Because the fact was, he wasn’t too old for this either. ‘Now, that one’s a zinger.’ he thought. He had thought about Oprah, The View. You know, the daytime talk circuit that never called. They’d only ring if some ancient film legend kicks the bucket for a nostalgia piece. But there he would be with his guy, the medical expert that sent him the case studies. He’d show up with the kids they had cured. There were hundreds to choose from. But there was one problem. His guy was a heretic. He wasn’t an expert in any particular disease. He was a radical non-believer. Together, they would be blaspheming a medical religion that took 100 years to build and now takes in 1.2 trillion dollars a year. After Prohibition ended Mob guys used to say “Hey, we need to find the new booze!” The Military Industrial Complex at 400 billion a year is pocket change. Pharmaceuticals are the new booze. What this cure represented was a full frontal assault on the Medical Doctor and their beloved drug culture. It had the potential to rock the Healthcare industry to its knees with a fundamental shift in how we think and treat disease. And if you were primetime, talking to these guys was a akin to bathing your talk show host career in hot, boiling oil. He tried to stay focused. ‘They call this a meeting? This is a shakedown, an assassination. If I could only put this into a script…’ His mind whirled and eyes darted. Because they knew what he didn’t. There was no new cocktail or drug therapy offered here. It was science-based, clinically verified information showing that this entire 1.2 trillion dollar Healthcare monopoly was a complete and total sham. This was the beginning of the end. So when this cure was presented to him, none of the big picture crossed his mind. None of it mattered really. These were his kids. They bore his name. They are in wheelchairs, for Christ sake. These medical experts were giving him hundreds of case studies where under their care these children would stand up and walk after being severely handicapped for years. But by the ferocity of the attack he knew he had hit a nerve, he’d struck devil’s gold. Something he never imagined in a million years was happening. They were choosing to keep little kids in wheelchairs rather than to investigate a cure that would make them lose money. He would emotionally deal with all of that later. That’s what was nice about being his age. What he didn’t like was having to monitor whether the shock was going to make him collapse on the floor or not. But now that was beginning to pass. He stared deep and looked at them hard. It all made sense now. He always felt that they were insincere in some way with their phony laughter. He thought that these guys were just insecure, not ‘people’ people, out of their element, nerds. That’s where he came in. But he looked at their suits and ties and stared at their shoes. These men came dressed to kill. They were not awkward benevolent despots. These were power hungry, bottom feeding, scumbag, jerk-offs from Hell. And they were ruling over a kingdom that took half a lifetime to build. The reality was it was not necessary. Without him they were nothing. Without his Kids it was over. When I heard Dr. Wallach tell the story that he found the cause, prevention and cure for Muscular Dystrophy, gave the info to Jerry Lewis and then Lewis got fired for presenting the truth quite frankly, I got really pissed off. I’ve always respected Jerry Lewis and his fundraising efforts but had a difficult time watching his MDS Telethons. The site of those poor kids in wheelchairs was sometimes too much for me to take. Chronic disease didn’t run in my family it galloped. My grandmother had severe arthritis. My brother almost died from being an asthmatic when he was a child. Later on my sister and mother were diagnosed with a host of chronic diseases including cancer. The mother of my daughter suffered through chemotherapy 3 times. I had some horrible degenerative spinal thing going on for decades. I know the horrors of chronic disease when it comes knocking on the door at home. When I heard Dr. Wallach tell the story where he found the cause, prevention and cure for Muscular Dystrophy, gave the info to Jerry Lewis and then Lewis got fired for presenting the truth quite frankly, I got pissed off. This year I went on Facebook, found MDS website, ABC and the presenters like Ryan Seacrest and Paula Abdul, posted this post and asked everyone not to participate. 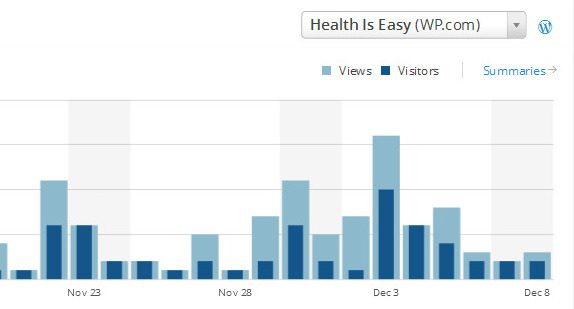 The above screenshot is of the analytics section of this site at WordPress.com. People who had entered the ‘search terms’ in the screen shot read the articles about MDS and Jerry Lewis just after the telethon. To think that maybe one kid will get up out of a wheelchair someday because of reading about the discoveries of Dr. Wallach from my little blog makes me feel like a million bucks! My site has only been up for a few weeks. Incredible! I’m thinking about putting together a video series on the ease and power of using WordPress.com. It is the best kept secret of the Internet. It’s unbelievably robust, you can hook it directly into your social media accounts, and best of all it’s free. Do you have a health story to tell? Tell me more about WordPress.com! and I’ll put you on the VIP list for the up coming instructional series. Why Did Jerry Lewis Leave the Telethon? The media we have today in the United States is run by the State. Just like in China, Russia and North Korea. Anyone who sits there watching the Nightly News and thinks they are getting an unbiased opinion on the affairs of the world is simply naive. Case in point: We have over the last twenty years discovered the cure for Muscular Dystrophy. Where is the fanfair? Where are the parades? Where is Oprah? Where is Barack Obama? 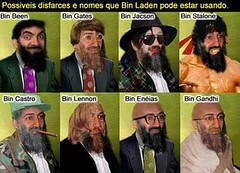 Where is Jerry Lewis? The story behind Lewis’s departure remains untold. But a few things have become clear in the year since the awkward public breakup. 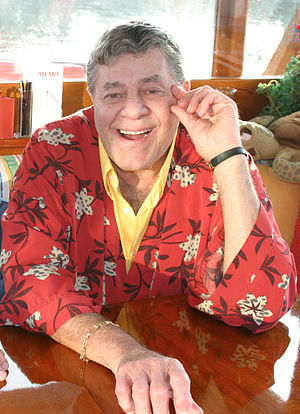 Jerry Lewis was dumped by the MDA, the charity he had been identified with since the 1950s. He’s still bitter about it. And the telethon is withering without him. The story behind Lewis’s departure remains untold? That is a complete lie. You can read entire misinformation here. Jerry Lewis was approached by doctors who gave him clinically verified documentation that the cause, prevention and cure for Muscular Dystrophy is here. And Grow Rich with the nutrients you need to Power Up and Fight For Your Life! Is Anyone Else Missing Jerry Lewis And The Labor Day Telethon, And What It Meant For America? T his is a great presentation and interview done by Doc Glidden. For anyone who is suffering the horrors of muscular dystrophy; tune in at about 20:00 into the video and get ready to rejoice. Dr. Wallach in a few minutes tells his story on how he found a way to treat Muscular Dystrophy. According to Dr. Wallach it’s a simple Selenium deficiency. Bad genes have nothing to do with it. At 29:20 Dr. Wallach tells the story on how he gave Jerry Lewis this info. Jerry Lewis got excited and wanted the MS Foundation he has been representing for decades to jump on board; so they fired him? You have to hear Wallach say this to believe it. And, yes we can stop giving money to all these foundations that never cure anything and start giving money to the people that know how to get the job done! Follow along with the words below. 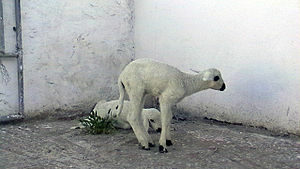 Wallach: Ok as a veterinarian of course muscular dystrophy AKA white muscle disease in calves in sheep in goats in all kinds of wild ruminants. 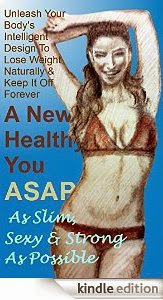 It’s a disease that is easily reversed by supplementing with Selenium. And there is a cardiomyopathy heart disease that goes along with that, which is a Selenium defincy in pigs they call it Mulberry heart disease, because that’s what it looked like to farmers when they cut the dead pigs open and it looked like their hearts were Mulberrys. And My mother actually funded the research which my wife Dr. Ma Lan who is Chinese. My mother funded the research for Ma Lan and I to go to China. In Keshan, China in 1990 to do autopsies on kids who died of what was called Keshan‘s disease which is the cardiomyopothy heart disease which is known by the WorldHealth Organization as a Selenium deficiency. It was my reasoning if I was correct. If the cystic fibrosis in monkeys was caused by the deficiency of the mineral Selenium, and we new that the cardiomyopothy heart disease in humans was caused by a Selenium deficiency in kids under the age of ten there would have to be some of those kids would also have Cystic fibrosis. Now it’s supposed to be a genetic disease of eastern Europeans, there is white eastern Europeans. It was not thought to be a genetic disease of orientals of any kind, or black people of any kind or Hispanics just white people from eastern Europe. And so I went there and did autopsies on 1,700 kids under the age of ten. At various Universities Harbin University, Keshan University and so on. Did 1,700, did all the chemistries and found that 35 percent had cystic fibrosis and 100 percent had muscular dystrophy AKA white muscle disease. Wrote it up. International papers. The Trace Mineral Research Institute’s monthly journal. It was published in several Chinese journals in English as well as Mandarin and Cantonese along with the of co-authors a couple doctors Dr. Ma Lan knew , who is my wife knew, they were instrumental in getting this done. And I presented all these papers to the muscular dystrophy foundation, the cystic fibrosis foundation, universities all over the place that had medical schools that treated pediatric patients. And got zero response. And again to make a long story short I was kind of starving trying to treat kids with these diseases because everybody new that the doctors new best and everybody went that direction so I had to learn how to treat other diseases arthritis, high blood pressure, diabetes, arthritis, obesity, dementia, eye diseases, blindness and so on; gluten intolerance. And in one of the events I did in Lancaster Pennsylvania for the Amish communities. And this is about that same time in the 90’s even before the Dead Doctors Don’t lie audio cassette tape came out in 1993. In Lancaster county I was asked to go see a little Amish family that had a small boy six years old with muscular dystrophy. And he could only lay on the floor. He could move like a log. He could roll like a log using his head and neck to roll himself over when he’d get to a chair he could pull himself up with his arms and upper body but if he let go of the chair he would fall down. And we put him on the 90 essential nutrients, got him off of gluten, cause he had a little Rosacea on his cheeks and everything so we put him on a gluten free diet. Got him on the 90 essential nutrients with extra selenium and three months later. I hadn’t had any calls back from them. 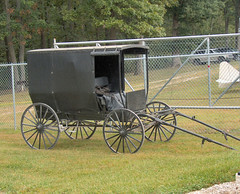 I’ve been so busy I didn’t think much about it, I’m back in that same Amish community in Lancaster county Pennsylvanian. And we’re in this Amish church, and it’s a hot august night and the front door was open and the back door was open and it was lit up with Coleman lanterns because they don’t have any electricity. OK. I changed the title of the blog from ‘Stop The Exploitation’ to ‘Get Informed’. After many thoughtful words from friends and team members, I believe I am scaring away the very audience I am trying to attract. You see inside me there is alot of anger that I am still working through. Case in point: that whole 9/11 – ‘Building 7’ thing kinda freaked me out for a long time. You would fight and then worry about stuff like that later. My point is; there is alot of horrible crap going on in this world so we have to prioritize. Ever wonder what happened to Jerry Lewis and Jerry’s Kids? No. Jerry didn’t pass away. But he all of a sudden vanished from the Musclar Dystrophy Telathon without even a farewell or goodbye speech. Why? Well, there is this guy named Dr. Wallach who says he found the prevention, cause and cure for Muscular Dystrophy. It’s simple, he asserts. It’s a Selenium deficiency passed on by the mother. Dr. Wallach then cures hundreds of these kids at very little cost. He documents his work and then sends the info to Jerry Lewis. Jerry Lewis sends this info to the directors of the Muscular Dystrophy foundation. And then, Jerry, the guy who has raised billions for the foundation wants to make an announcement. Don’t take my word for it. Check out the video below. I’ve posted the words so you can follow along. Conspiracy theory? Medical Tyranny? New World Order? My point is, anger burns nutrients. If all this is true let’s just use the energy we have to find a way to get this info to the kids with Muscular Dystrophy. I would bet all families suffering like this would rather see a thousand Building 7’s rather than one more day of their loved one in a wheelchair. OK, Actually I deal with quite a few of these kind of kids and young adults and I’ve been doing this gosh, for 20 years and I’ll tell you a little bit of a story before I answer your question because I think it’s very important. Thank you for bringing the question up. We actually have had complete reversals in many of these kids with muscular dystrophy and I don’t care if they’ve been in a wheelchair for 20 years. We can actually reverse these kids. Because it’s a simple nutritional deficiency, not genetically transmitted in any way shape or form…Basically we eliminated this disease in animals some 50, 60 years ago. I’ve been doing this in human beings for over 20 years. Works like a charm.